Google’s choice of which products to continue and which to wipe out regularly puzzles me. Google Hangouts has been Google’s most popular messaging service. Obviously it’s not as popular as the top tier but Google finally found a product other than email that users liked. Of course they’re ruining it by morphing it into something people don’t want. Disgruntled user here. Google previously announced that its most popular messaging app, Google Hangouts, would be shutting down. 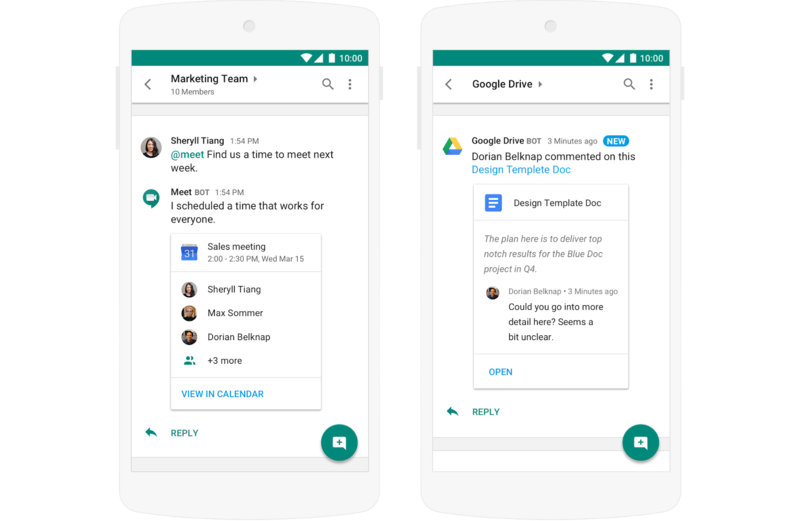 In a post today on the GSuite Updates blog, Google detailed what the Hangouts shutdown will look like, and the company shared some of its plan to transition Hangouts users to “Hangouts Chat,” a separate enterprise Slack clone. First, we need to get some vocabulary down to navigate Google’s extremely confusing branding. There are two totally separate products we’re talking about here: “Hangouts” and “Hangouts Chat.” These two products have nothing in common besides their similar names. Hangouts—which Google has recently retconned to “Hangouts Classic”—is Google’s most popular messaging app of all time. The full-featured, consumer-grade, instant-messaging app has more than a billion installs on Android, and it has enjoyed prominent placement in the desktop version of Gmail. Since it was an in-place upgrade of Google Talk, it has a user base dating back 13 years.”Hangouts Chat” is the complete opposite. It launched 10 months ago and is a basic (some would say “beta”) enterprise Slack clone. Right now, it’s only available to paying GSuite users, and it has a scant 500,000 installs on Android. Today, the two apps don’t share users, messages, or have any kind of interoperability. It’s worth noting that an earlier report from 9to5Google, which set off Google’s last round of communication about Hangouts, pegged 2020 for the consumer shutdown. Pushing IM users into an enterprise Slack-like will be fine, right? Enlarge / Hangouts Chat, for consumers! Form a marketing team with your friends and family! Share design templates with your mom! Google isn’t going to just drop a billion-install user base, though, and despite Hangouts Classic and Hangouts Chat being different services with different use cases, Google plans to close the gap between the two and migrate Hangouts Classic users to Hangouts Chat. Google says it will spend April through September launching new features for Hangouts Chat. That will include, the company says, “features from classic Hangouts” and some interoperability. Google doesn’t hold anything back on this support page, which lists the upcoming features for Hangouts Chat. Key features like “Chatting with users from outside the domain” and “Google Voice integration” will bring the app a bit closer to a consumer product. Hangouts Chat has a long way to go in terms of matching the clients for Classic Hangouts, and this list has both “Deep integration with Gmail” and “Apps for Windows and macOS,” which will help a lot. There will also be an “Enhanced video calling experience.”Most of the new features don’t seem like they would close the gap with Hangouts. Instead, they’re focused on closing the gap with Slack. The features include: “Rooms where users can join and leave and can hold multiple threaded conversations;” sharing documents; searching for text, people, and rooms; link previews; and support for bots. The big feature, though, is interoperability. Starting April 16, Google says that Classic Hangouts and Hangouts Chat users will be able to message each other back and forth. Sadly, this does not apply to group chat, which will remain separate between the two products. If the Hangouts shutdown sounds like an extremely complicated mess—it is! The shutdown affects many of Google’s most long-time users and all of the friends and family the company has convinced to switch. Google’s “transition plan” is worrying—Hangouts Chat isn’t even a good Slack clone yet. Throwing a totally different use case at it—and giving the Chat team only 10 months to make the transition—doesn’t sound like it has a high probability of success. Google’s argument seems to be that the transition plan makes everything OK. But clumsy shutdowns like this are damaging to the Google brand, and they undermine confidence in all of Google’s other products and services.